In the wonderful landscape and waters of "Nestori Miikkulainen", a character in the beautiful song of late Juha Vainio, telling about an old man and his best friend, a Finnish Saimaa seal (norppa) you will experience the silence and piece of the Finnish nature. 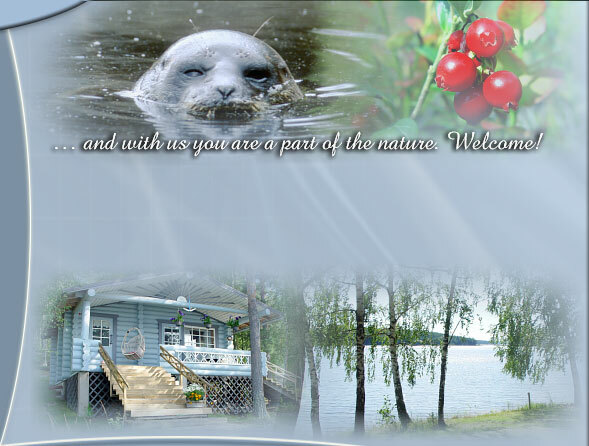 Enjoy the gifts of the forests and lakes; berries, mushrooms and fish. You can also catch salmon in the clean waters of the great lakes of Saimaa. In the woods of Lintusalo, at the old settlement area, you will find the whole spectrum of the Finnish nature: all from rare birds to seals and bears.